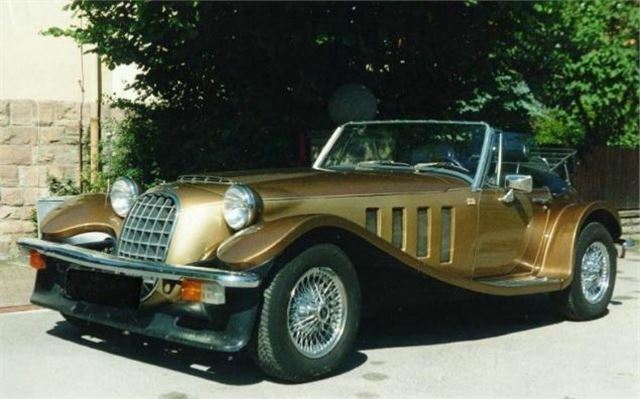 The Panther Lima was an interesting car, not least because it proved that its maker was trying to produce a car more in tune with the times than its savagely expesnive J72 and DeVille. With its Morgan-ish looks, and Vauxhall Magnum floorpan and 2279cc slant-four engine, the Lima was significantly cheaper than its stablemates and could even be ordered through some Vauxhall dealerships. The glassfibre bodywork surrounding an MG Midget centre section (including doors and windscreen) made it lightweight and well-behaved, while the 108bhp and 138lb ft on offer meant good performance, although even more was offered by the turbocharged variant of 1978. The MkII from 1979 had a box section chassis, and was a better all-round proposition. A total of 918 were constructed up until the end of manufacture in 1982 when it was replaced by the lookalike Kallista.